sate | The Sassy Spoon: Fun Food! Several years ago we were aboard a boat off the shore of Bonaire, a Dutch Territory off of the coast of Venezuela. The island has a huge Indonesian influence because the Dutch once held Indonesia as a colony. We were served this tasty sate and the owner of the boat gave me her simple recipe. It is very easy to make. 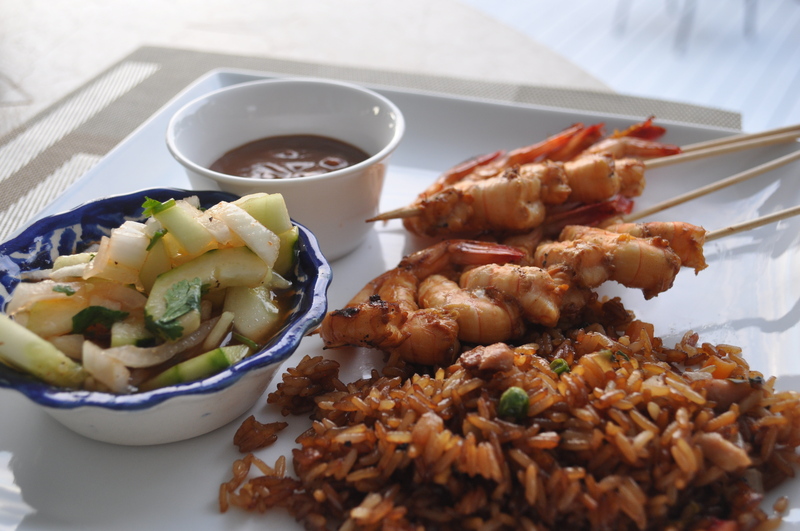 We had some interesting meals in Bonaire, including Iguana Stew, but I did not ask for that recipe. Sate can be made with pork, chicken, beef or seafood. 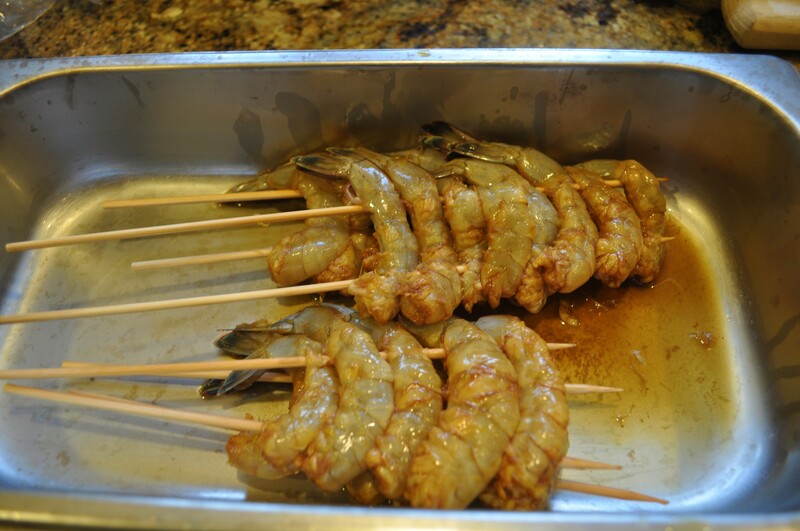 It is basically slices or in this case, whole shrimp that is marinated in a lemon & sweet soy marinade, then grilled and served with a peanut sauce. The peanut sauce is delicious on rice or other dishes too. 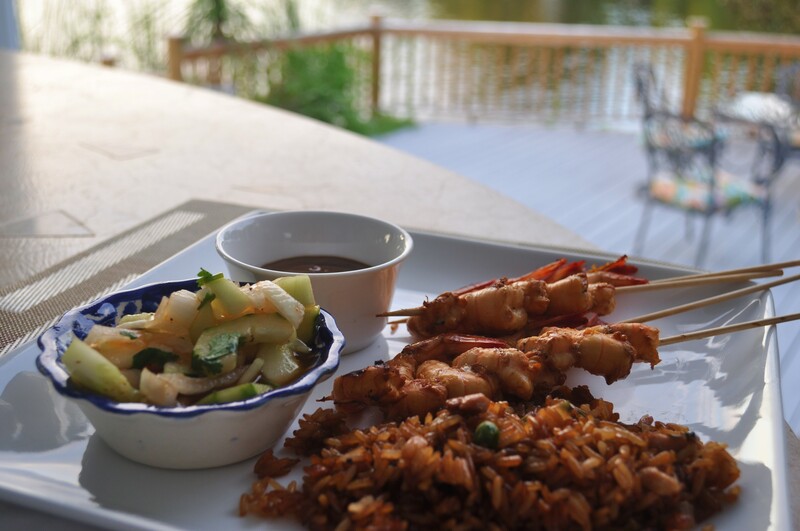 I served the Shrimp Sate with a cucumber salad and fried rice. 4 tb Indonesian soy sauce (this is sweet soy sauce, slightly heavier than regular soy sauce). 6 leaves of Kafir Lime slivered and chopped. 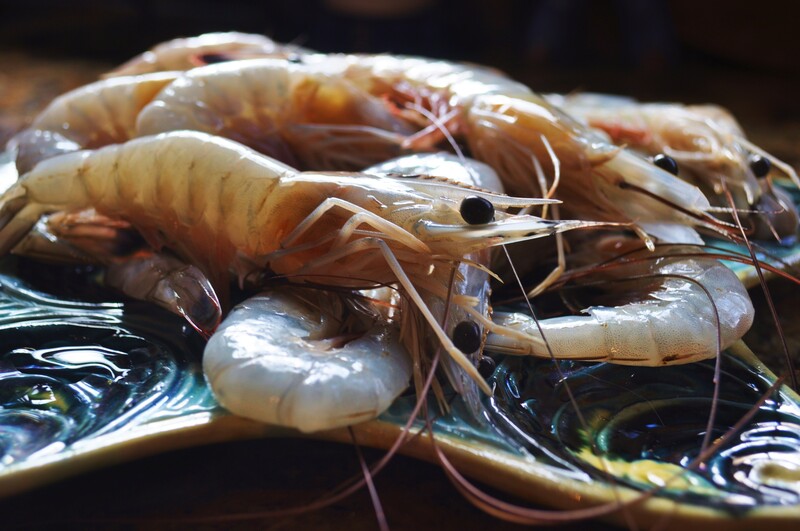 Cut chicken meat into strips or peel shrimp. Make marinade by combining juice from lemons with garlic, soy sauce and salt. Pierce meats and marinate 2 to 4 hours. Save the marinade to use in the peanut sauce. Weave meats onto skewers and broil or barbecue until meat is done. Do not overcook. To prepare the peanut sauce, combine peanut butter, lemon juice, honey and hot sauce with reserved marinade, and heat at low temperature until well blended, stirring constantly. Remove from heat and add half and half. 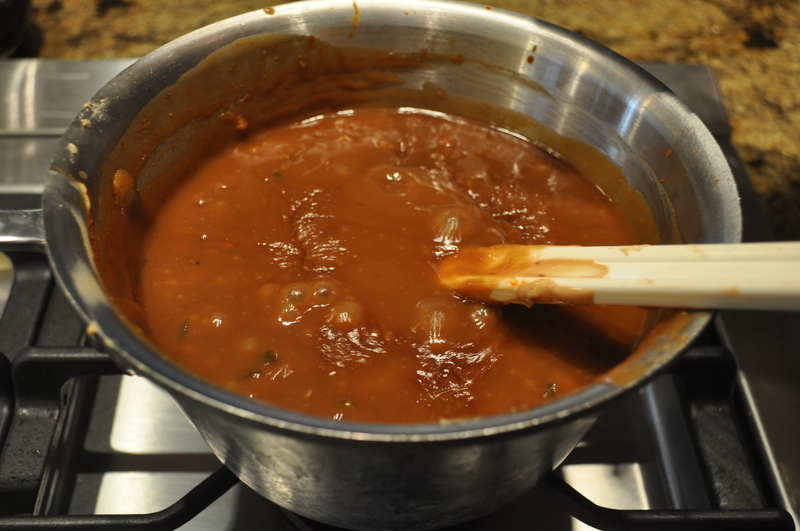 Return sauce to heat and warm through, stirring constantly. Serve the skewers on platter and pour sauce into bowl. Meat is dipped in the sauce as you eat.